Dr. Larry Simpfenderfer is a 1983 graduate of U.C. Berkeley School of Optometry. He received his Bachelor’s degree from U.C. Riverside and earned his Master of Science at Humboldt State University. He was born and raised in Lodi and has been in practice in Lodi since 1983. Dr. Simpfenderfer continues to upgrade his education to stay up with the many changes in optometry. Dr. Simpfenderfer also provides pre- and post-op care for cataract surgery and refractive surgery. Dr. Simpfenderfer is a member of the American Optometry and California Optometry Associations. Dr. Simpfenderfer was trained in primary eye care. He does detailed comprehensive eye examinations which include the refraction (determination of the prescription), a binocular vision and focusing evaluation, and a thorough health check. The office has specialized equipment which is state-of-the-art. 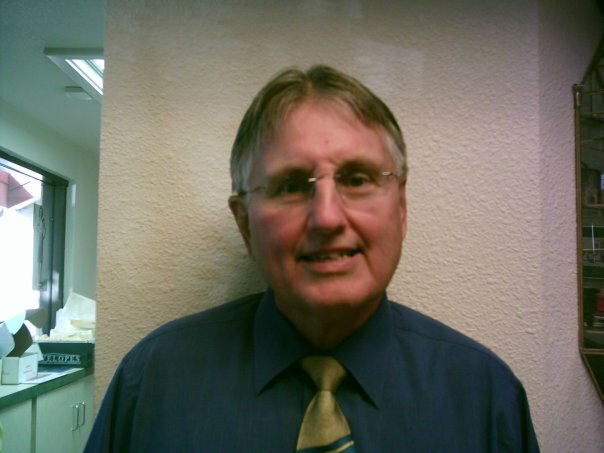 In addition, Dr. Simpfenderfer has 35 years of experience in fitting specialty contact lenses, managing laser vision correction, and pediatrics. He is also qualified to prescribe medications for eye infections or allergies, treat eye injuries, and treat dry eyes. When appropriate, Dr. Simpfenderfer sends referrals to primary care physicians or specialists to treat systemic conditions detected during the eye examination, or to eye surgeons for treatment of eye diseases or surgery. Reports are also sent to school nurses and/or teachers regarding vision problems detected in children.